Seniors Weston Kitley and Pat Clegg have been named to the Capital One Academic All-America Division III Football Team, as selected by the College Sports Information Directors of America (CoSIDA). Kitley earned First Team honors, while Clegg was a Second Team selection. Kitley is a chemistry major with a 3.74 cumulative grade point average. 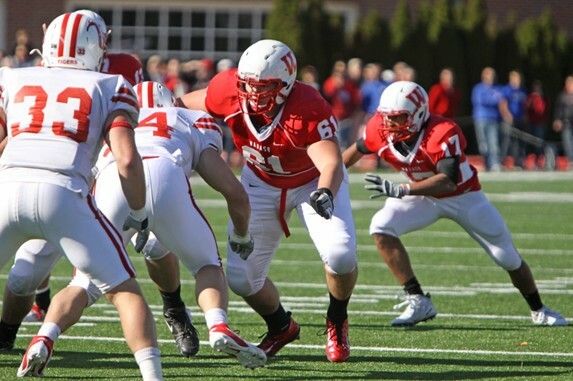 A starter at left tackle the past three seasons for the Little Giants, Kitley helped the Wabash offense average 210.10 rushing yards and 408.6 total yards of offense per game. He earned First Team All-North Coast Athletic Conference honors in 2010, 2011, and 2012 and was a D3football.com Honorable Mention All-America selection in 2010. 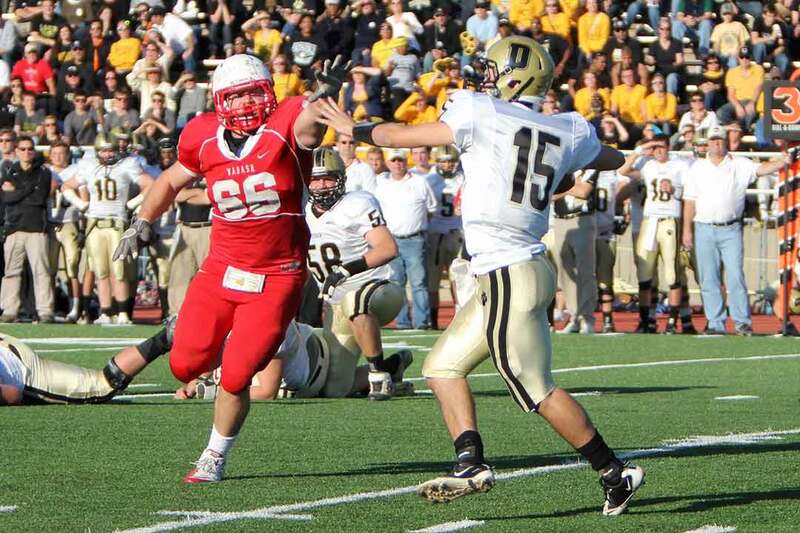 Kitley was also named to the D3football.com 2012 Preseason All-America First Team. Kitley spent the early portion of the summer of 2012 conducting research on campus, then traveled to the HHMI Janelia Farm Research Center to continue his work and present some of his findings to other researchers at the facility. Kitley also traveled to Peru as part of a global health program. Clegg is also a chemistry major with a cumulative grade point average of 3.54. A starter in all 10 games for Wabash this season at defensive tackle, Clegg finished the season with 51 total tackles, fifth-best among Little Giant players. His 11-1/2 tackles for losses totaling 31 yards placed him third among Wabash players this season and helped him earn First Team All-NCAC honors for the second consecutive season. He was part of a Wabash group that ranked eighth in the nation in scoring defense (13.1 ppg) and ninth in the rushing defense (80.3 ypg). Clegg finished his career with 39-1/2 tackles for losses, placing him sixth on the Wabash all-time list. Clegg traveled to Kenya in 2011 as part of an immersion learning trip that studied religion on the African continent. The trip included working with local orphanages, churches and schools as well as interacting with the local villagers. Clegg wrote a blog entry about his experience in Kenya during the trip. To be eligible for Capital One Academic All-America consideration, a student-athlete must be a varsity starter or key reserve, maintain a cumulative GPA of 3.30 on a scale of 4.00, have reached sophomore athletic and academic standings at his/her current institution and be nominated by his/her sports information director. Sicne the program's inception in 1952, CoSIDA has bestowed Academic All-America honors on more than 16,000 student-athletes in Divisions I, II, III and NAIA, covering all NCAA championship sports.